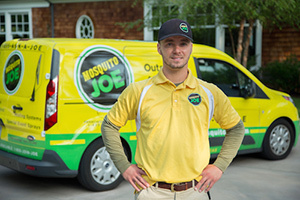 Mosquito Joe makes outside fun again by providing mosquito control services to residential and commercial customers. The business can be run from virtually anywhere (home or office) and is great as a stand-alone business or add-on business to another seasonal or complementary home services business. No pest control experience required – we provide all necessary training and support. The cost for start up is low and potential is high with a recurring revenue business model and high customer retention rates. Our proven marketing tactics and fun brand get you out of a mundane office lifestyle and into an exciting business opportunity!